The TWR-KV58F220M eval board supports to connect an external J-Link for debugging. 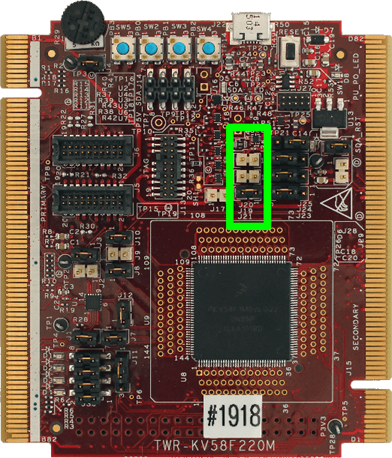 However, by default the board is shipped in a configuration where connecting an external J-Link is not possible. This is because the OpenSDA circuit permanently drives the SWCLK and SWDIO pins. In order to enable external debug access, J19 and J20 need to be open. This isolates the OpenSDA circuit from the target MCU. This page was last modified on 22 February 2018, at 12:23.